The Christmas tree balls by Marcello Jori are part of the Palle Presepe collection (Italian: Christmas bauble and nativity scene play) for A di Alessi. With the typical Christmas figures, like Santa Claus or the reindeer, the Christmas tree can be festively decorated, colourfully and in a playful look. They can also be hung in a window, arranged on winter bushes, integrated into a Christmas wreath or placed on a table. The lovingly designed motifs create a contemplative atmosphere in any ambience. The Christmas tree baubles are made of glass, which are then individually painted by hand. Thus, each individual bauble is unique and stylishly enhances the festive interior. The baubles are also an excellent gift for friends and family. 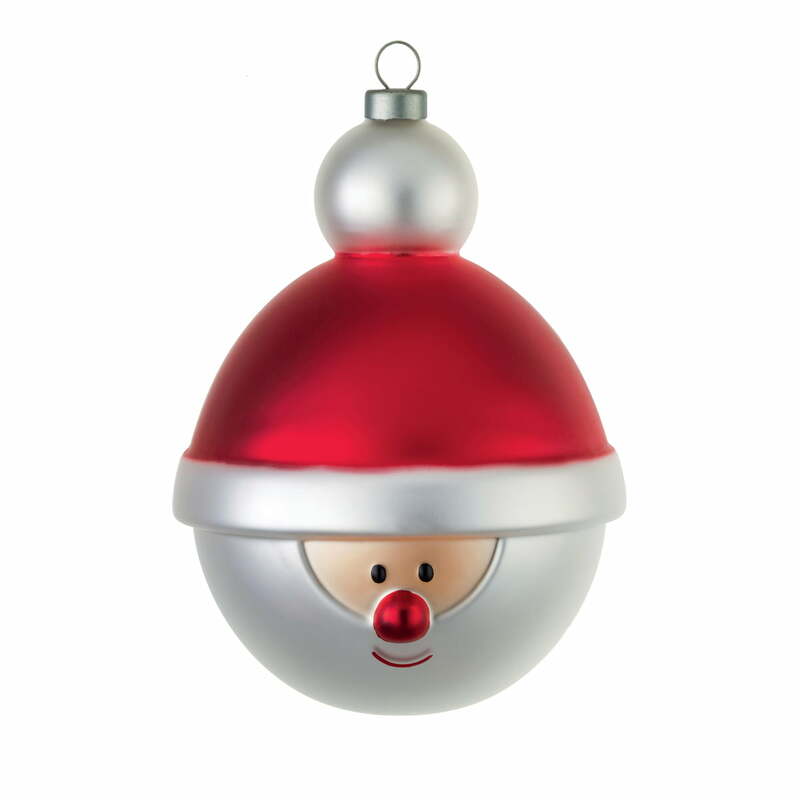 Isolated product image of the A di Alessi - Christmas Tree Bauble, santa claus. The Christmas tree baubles are made of glass, which are then individually painted by hand. Thus, each individual bauble is unique and stylishly enhances the festive interior.